While much in the history of music builds on what came before it, each generation witnesses musical innovations that define a genre and can endure long after their creation. The individuals profiled in this lively volume have been responsible for some of the most inspired and lasting works in the history of music, those that have remained timeless even as musical styles, genres, instruments, and technologies have evolved. 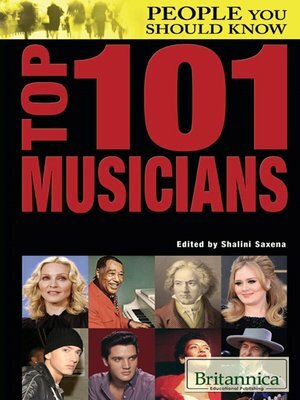 The stories of such icons as Guido D'Arezzo, Wolfgang Amadeus Mozart, the Beatles, Bob Dylan, Aretha Franklin, Michael Jackson, Jay-Z, and Adele, among many others, are concisely presented, along with descriptions of their greatest contributions to music.